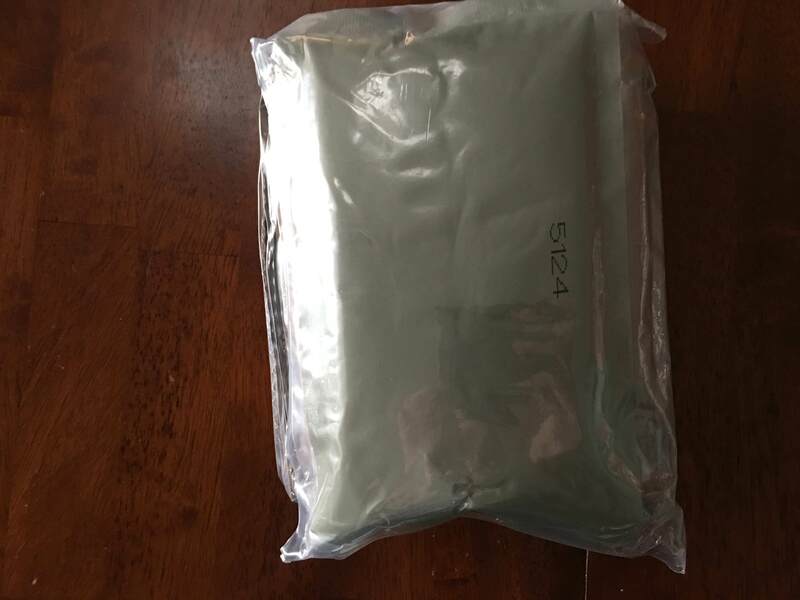 Again, I don't really know the type of MRE and I couldn't find any date stamp on the packaging or the stuff inside it, but the seller said that they're all 2012 or newer. The main meal had "5124" printed on the back of it, I'm assuming that's some kind of date stamp? It also had some numbers on the front, "5084 2A EST. 1290 10:54"
Anyway, this time I got Menu #4, Spaghetti with Beef and Sauce. 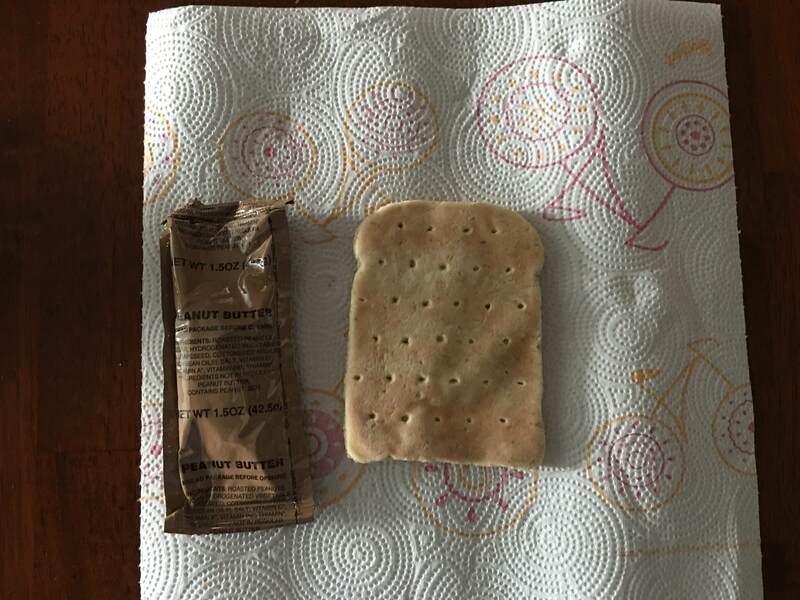 Came with spicy snack crackers (Cheez-Its), cocoa drink, raspberry drink, raisins, some kind of bread thing, as well as smooth peanut butter, and jelly. The main was nice. Sauce tasted a bit strange, but not too bad. Just like the "pasta with taco sauce", it was just slightly spicy. Overall pretty good. 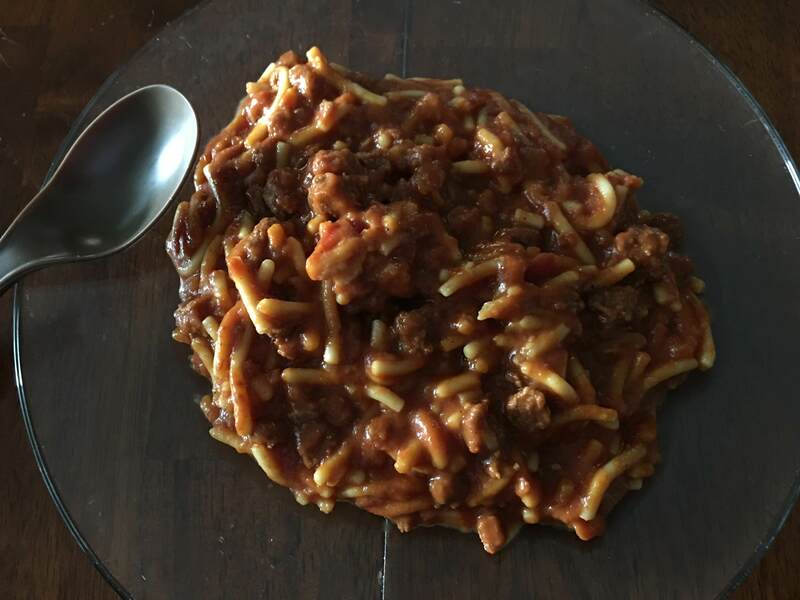 Tasted pretty similar to any other canned / pre-made spaghetti product. 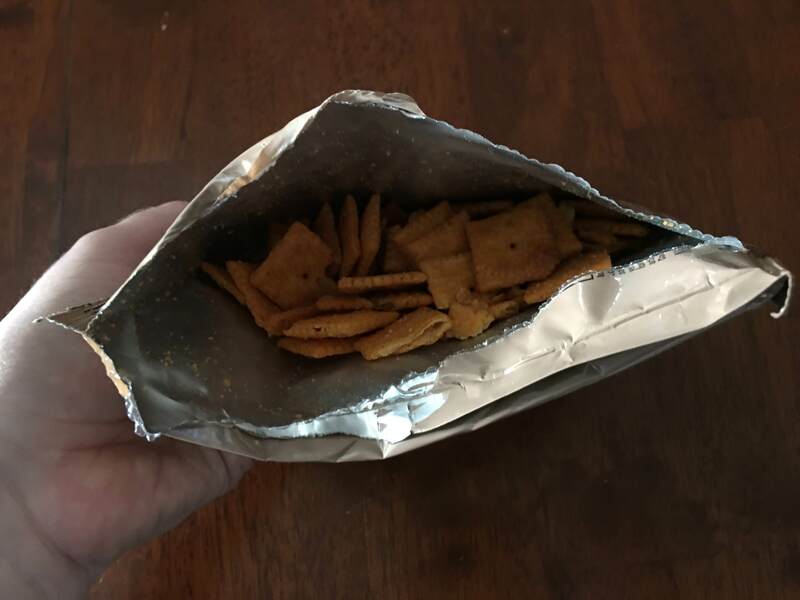 The spicy Cheez-its were okay as well. They smelled really spicy, but didn't taste all that spicy. The bread thing had a kind of chemical-y smell to it, but tasted fine and was perfectly soft. Went great with the peanut butter. 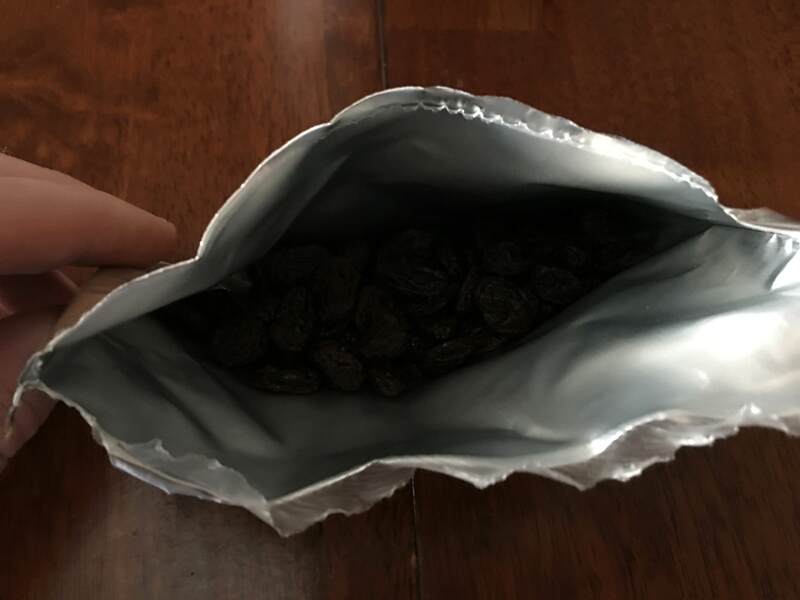 Jelly and raisins seemed fine, but I don't like either of those in general so I just took a small taste of each. I much preferred the applesauce from the previous ration! The cocoa drink was okay, but lacked sugar. Tasted like typical instant cocoa, but much less sweet. The raspberry drink on the other hand, tasted awful, like cough medicine or something. Blegh. And pretty much the same exact accessory packet. Toilet paper, moist towelette, salt, gum, and the drink mix. Not as good as Menu #2, but still pretty lovely. 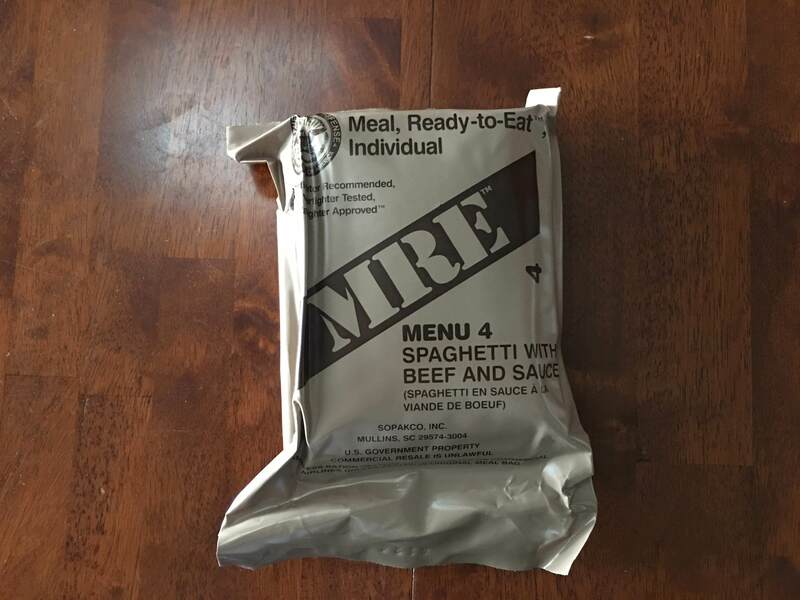 Unmaned wrote: Again, I don't really know the type of MRE and I couldn't find any date stamp on the packaging or the stuff inside it, but the seller said that they're all 2012 or newer. The main meal had "5124" printed on the back of it, I'm assuming that's some kind of date stamp? It also had some numbers on the front, "5084 2A EST. 1290 10:54"
In your first photo, I see the imprinted date in the bottom edge, as usual. 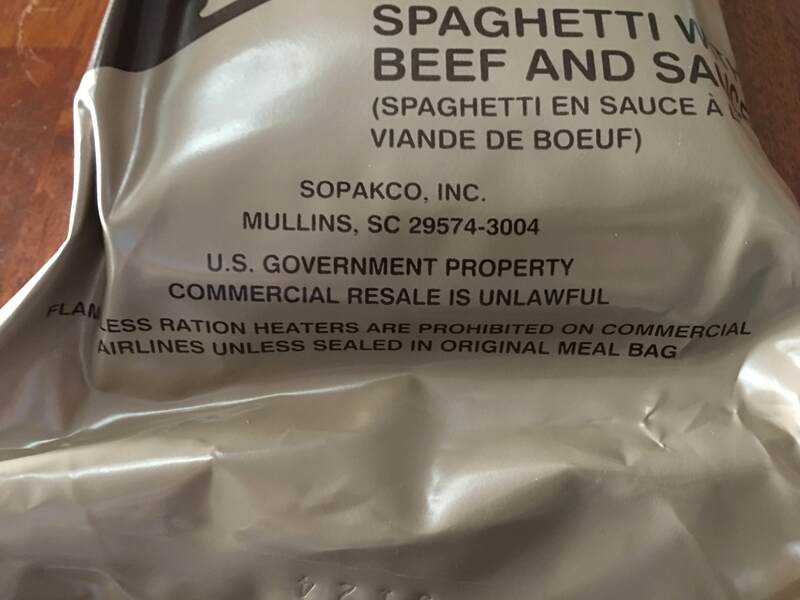 Sopakco and Ameriqual both use this date location, but Wornick doesn't date the outer package. 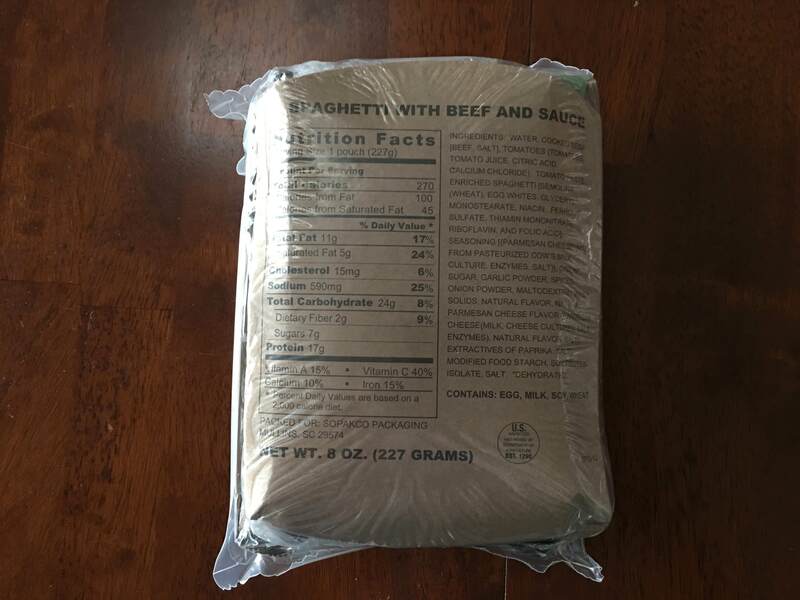 You have pretty much summed up all MREs: slightly weird flavors due to massive preservative content, heavy on the carb content, and odd food pairings. (They put tortillas in meals that don't need them, and leave them out of meals that do, as only one example.) 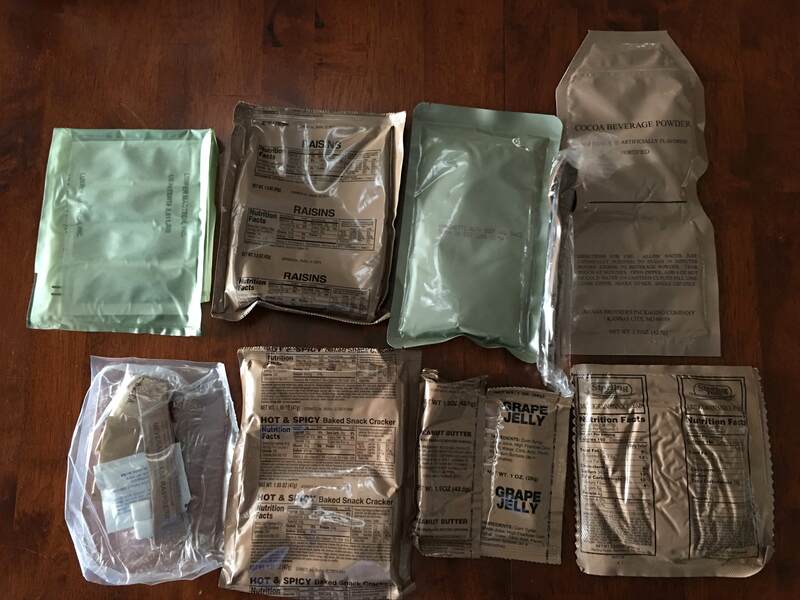 As a newby, you'll be bumfoozled a lot, but will soon catch on to the many vagaries of MREs. Your review bespeaks a good grasp of the situation.